Gülsel Özkan was born in Malatya, Turkey, in 1966. She emigrated to Germany in 1980 and began to study filmmaking at the Academy of Fine Arts in Hamburg in 1987, graduating with honors. She has accumulated many years of professional experience as a director and scriptwriter and has worked as an independent filmmaker and producer since 1989, creating documentary films and feature films for ARD, arte, NDR, WDR, BR, DW Phönix, H3, MDR and SFB, as well as international broadcasters such as Spain TVE, 3 Sat and Planet-France. 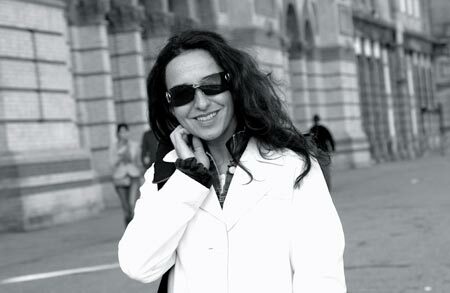 Gülsel Özkan is currently working as a director and scriptwriter of documentary films and feature films. Many of her films have been shown internationally and nominated for numerous prizes. Gülsel Özkan is the business manager of Planetfilm GmbH. 1990 VERFLUCHTES C (The Cursed C), feature, 16 mm, 7 min. DANCES WITH TAILINGS, documentary, USA, 16 mm, 60 min. Incentive funding by MFG Baden-Württemberg for the development of the projects "Hometown Babylon", "Jobsharing" and "Wonderful Death"
Subsidized script for the international feature film "Brent Spar" by MFG Baden-Württemberg. Subsidy from Media Plus for project development on "Jobsharing". Support for project development on "Hometown Babylon" by Media Plus. Support for NATURPARK SCHWARZWALD (Schwarzwald Nature Park). "Safari in the Black Forest"
"Robbers in the Forest "
"Drowned Before My Very Eyes"
“Adventure in the Rhine Meadows"
"A Suitcase Full of Hope"